The Wyndham Irish Land Act was a radical attempt to broaden ownership of land in rural Ireland. It gave incentives to landlords in Ireland to sell their entire estates, and gave tenants good rates of interest on loans to purchase their land. Chief secretary for Ireland, George Wyndham's Land Act was based on a report that had come from the 1902 Land Conference, where representatives of landlords and tenants met to come up with a solution to the Irish Land Question through co-operation. Throughout the latter half of the 19th century, there was intermittent unrest and agitation in rural Ireland due to problems caused by unfair rents and evictions. 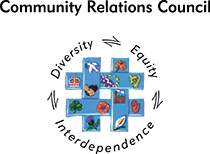 It was hoped by certain sections of the British government that if these problems could be solved, it would halt further calls by Irish nationalists for Home Rule. 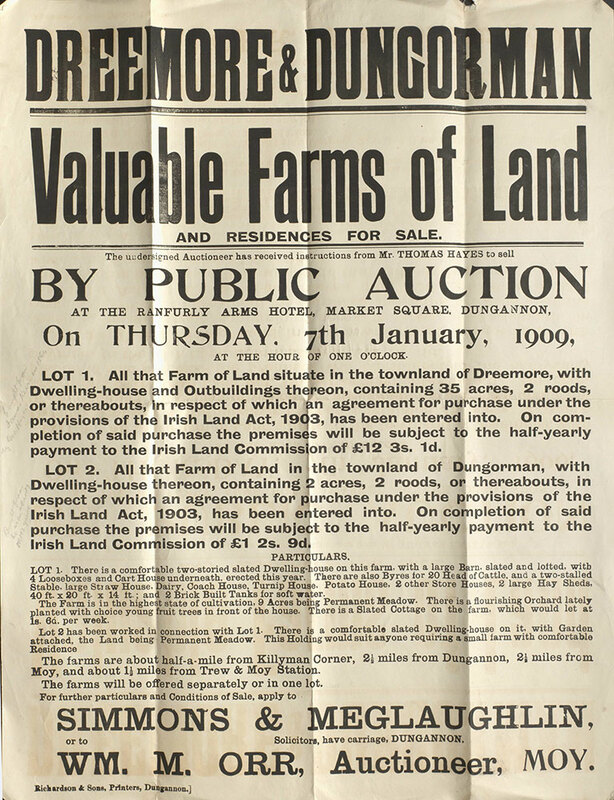 Irish tenants seized the opportunity to buy their own land, and between 1903 and 1920 nearly nine million acres of land had changed hands. 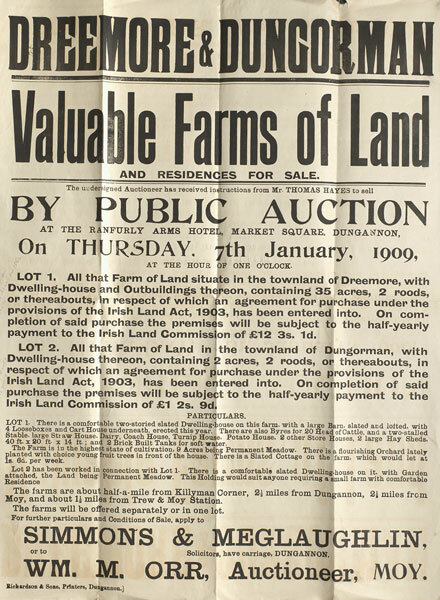 Printed notice of a public auction of lands and residences in Co. Tyrone.